At a company meeting this month at the MotorCity Casino, CEO Dan Loepp of Blue Cross and Blue Shield of Michigan asked more than 1,000 Blue Cross employees to donate to and otherwise support the re-election of Detroit Mayor Mike Duggan. Loepp's personal support for Duggan wasn't a surprise to Blue Cross employees. But it was unusual and possibly violated Blue Cross' own corporate code of business conduct for a Blues executive to make a pitch for a political candidate at a company-sponsored event. It's a sign of strong corporate support for Duggan, who has made one of his hallmarks a push to make Detroit an easier city in which to do business, but has left him open to criticism as too tight with corporate interests. Employees "may not use any company property, facilities or time of any other workforce member for any political activity. Workforce members involved in political activities should do so outside of working hours," Blue Cross' conduct code reads. Blue Cross employees are allowed to "participate in the political process" but should make it clear they are acting as an individual and not acting on behalf of the company, the conduct code states. In an email to Crain's, Helen Stojic, Blue Cross' director of corporate affairs, said "there was a very brief reminder (by Loepp) to a PAC-eligible audience of an invitation that was sent to PAC members. BluesPAC sees nothing that would preclude this type of communication." 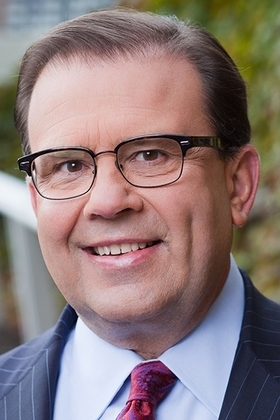 Stojic declined further comment when asked if Loepp or Blue Cross executives ever made public statements at company events to support political candidates. The day after the company event March 16, employee members of BluesPAC, Blue Cross' political action committee, received a company-addressed email from the Duggan For Detroit campaign, asking Blue Cross employees for additional donations of "$25, $50 or $100 or more today to show your early support for Mayor Duggan." The e-mail came from Rico Razo, Duggan's campaign manager. Stojic explained that the Duggan campaign asked BluesPAC for email addresses of BluesPAC members, who are also a majority of Blue Cross employees. BluesPAC regularly sends out mail and emails on its own to members requesting donations and support for political candidates or causes. "If you provided it (email) you probably got a subsequent solicitation email from the campaign," Stojic said. "However, this email was not directed specifically to BCBSM employees." Last month, on Feb. 28, more than 1,000 Blue Cross employees who also are members of BluesPAC also received a letter in the mail asking for donations of $1,000 for corporate officers, $500 for vice presidents, $250 for directors and $100 from managers and others to support the Mike Duggan for Detroit Committee. BluesPAC also invited its members to a reception it is hosting Tuesday at the Firebird Tavern in Detroit's Greektown. In a statement to Crain's, Jeffrey Rumley, chair of BluesPAC and also Blue Cross' general counsel, said this: "BluesPAC members are proud to come together to support Mayor Duggan's re-election. He has done tremendous work leading Detroit's comeback, mobilizing business and community leaders to work together for a better Detroit." As one of the state's largest nonprofit PACs, BluesPac had a balance of $240,892 at the end of January while expending about $66,000 during the month, according to the Michigan Secretary of State's office. Besides Blue Cross employees, organizations such as the Detroit Regional Chamber and Friends of Warren C. Evans contributed to BluesPAC. Members totaled 2,036 last year, down from a high of 2,325 in 2009. 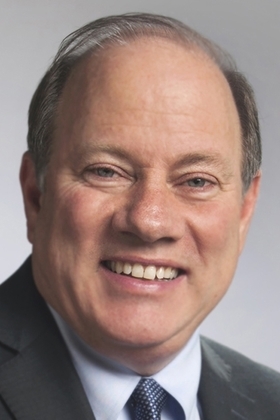 BluesPAC contributed $30,000 to Duggan's campaign last October and December. "Blue Cross CEO Dan Loepp, company PAC push Duggan re-election" originally appeared in Crain's Detroit Business.